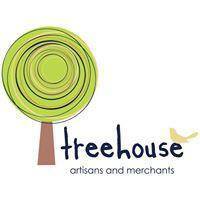 A Treehouse Artisans original design! 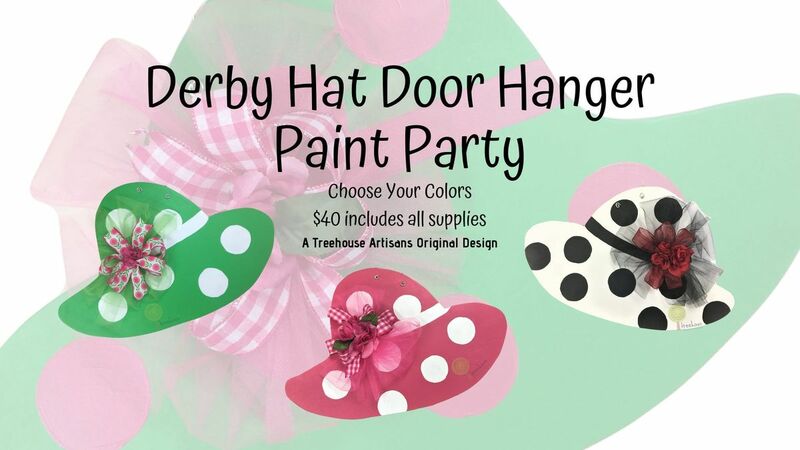 Paint your own door hanger and choose your favorite color combination. Compliment your hat with bows and flowers. All instruction and supplies are included. Grab a friend and reserve your space today! You are welcome to bring adult refreshments. Space is limited, so refunds are not permitted. If you are unable to attend, you may send a friend in your place or pick up supplies to use at home. Thank you for understanding. 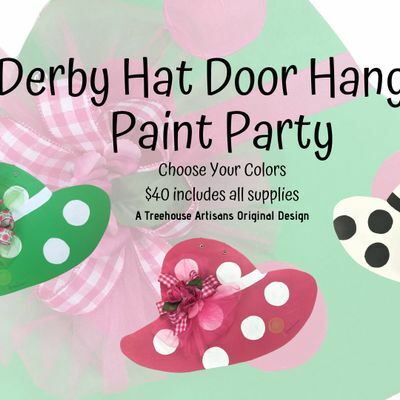 Private parties of 6 or more are available. Please email us at aW5mbyB8IHRyZWVob3VzZWFydGlzYW5zICEgY29t to arrange your time. Group discounts are offered.